So everyone has been talking about the whole Hostess bankruptcy thing lately, and feeling a little sad that at some point soon they’ll be buying their zingers on the black market. In the name of research, I bought one of the last packages of Ding-Dongs I could find to see if they were as good as I remembered. Sadly, they weren’t. The cake was dry and the filling was tasteless. The chocolate on the outside was the best part. Since so many people already have recipes to mimic the Hostess snacks, I challenged myself to go one better. 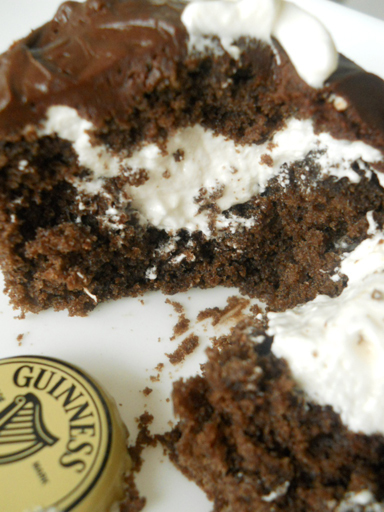 I created a light, soft chocolately cupcake made with Guinness Extra Stout. I should hedge this by saying I’m not a beer lover myself, but if you share your house with one as I do – you’ll both love this recipe. The stout keeps the cake from being overly sweet and adds an extra level of depth. Then for the filling I made a marshmallow fluff based on honey, to round out the stout flavor. I finished them off with a quick, dark ganache that pulls everything together. 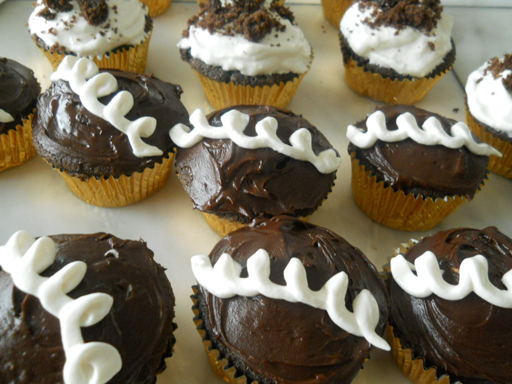 So rather than mourn the loss of dry cupcakes filled with preservatives and half your day’s allotment of saturated fats, bake these and celebrate having something even better! The stout will be noticeable the first day, but after that it will all mellow into a happy blend. Preheat the oven to 350. Cream the butter and sugar together until very light and fluffy. Add the eggs, one at a time and beat until well-combined. Beat in the vanilla. 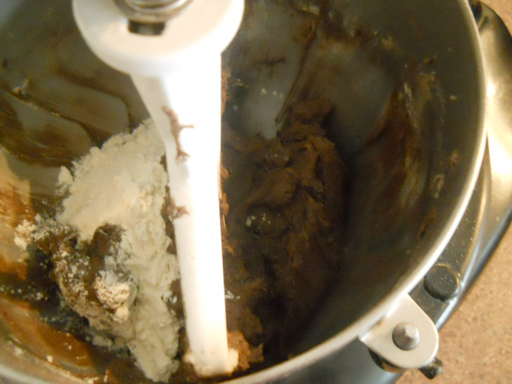 Combine the flour, cocoa, baking soda and baking powder. 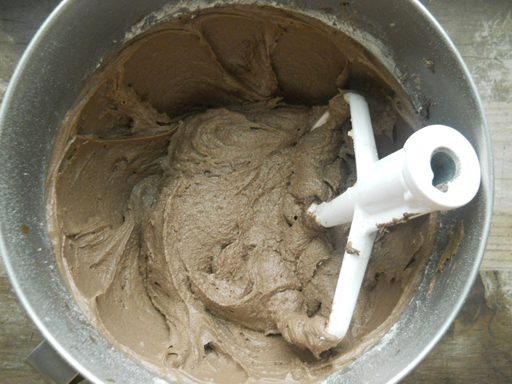 Beat half of it into the creamed mixture until well-combined. Beat in 1/2 of the stout. Repeat with the remaining flour and stout. 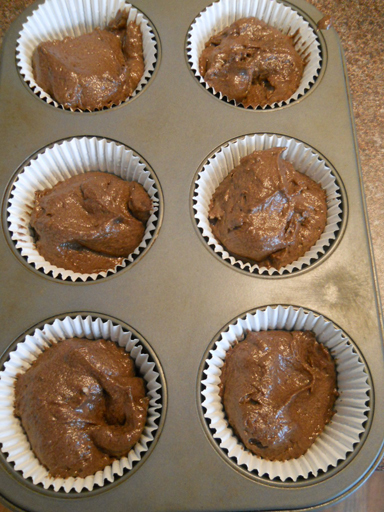 Divide the batter between cupcake tins and bake 15-20 minutes, until the center springs back lightly. Cool on a rack. Stay tuned this week for the rest of the recipe! Categories: Beer and Wine with Chocolate, Chocolate Cakes Big and Little | Tags: cake, cupcakes, dessert, Guinness, pastry, stout | Permalink.